One of the most important things you can do for your future is to save up for retirement so that you can live comfortably in your later years. One of the best ways to build wealth over time is to invest. But, before you start investing, you need to have a good idea of how much you are likely to need in retirement. There are plenty of rules of thumb designed to help you figure out how much you should need in retirement. Some simply suggest that you amass a nest egg of $1 million so that, presumably, when you withdraw 4 per cent a year, you should end up with $40,000 a year indefinitely. Obviously this is a very simplistic few as it doesn’t account for inflation and market fluctuations. Other rules of thumb encourage you to take a look at your current income and then plan to need 70 per cent of it during retirement. So, if you make $60,000, you would need $42,000 a year. Using the 4 per cent withdrawal rule, that means you would need $1,050,000 upon retirement. While rules thumb can be helpful places to start when figuring out how much you need for a comfortable retirement, they don’t necessarily apply to everyone. And they may not be the best option for you, anyway. Instead of relying entirely on rules of thumb, or sticking with assumptions like the 4 per cent rule, really stop and think about your own situation. You might not actually need $1 million or more to retire — as long as you understand your needs and how to meet them. How Much Do You Need Each Month? Your first requirement is to figure out how much money you are likely to need each month. This isn’t just about consulting a rule of thumb. It’s about looking at your current expenses, as well as estimating what you might need in the future. First of all, look at what you spend right now. How many of those expenses will persist at some point in retirement? Will you have your home paid off by the time you retire? If you have kids at home right now, will they still represent a drain on your finances during retirement? Next, figure out what new expenses you might have in retirement. 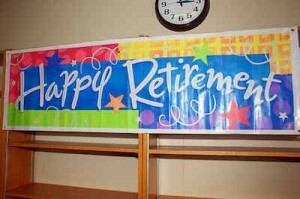 Are you planning to retire? Will you sell your home and move into a community that requires you to pay rent? Think about how your expenses are likely to change. Chances are that you will need at least as much as you have right now — and maybe more. The things you spend the money on might be different, though. Where Will You Get Your Revenue? Now that you have an idea of how much you need each month during retirement, it’s time to figure out where the money will come from. You might consider that you will have money coming in from the government each month (OAS in Canada or Social Security in the United States), or perhaps you have a pension coming. You can also figure out, roughly, how much money you are likely to be able to depend on from your nest egg each month. Would You Put Your Retirement at Risk to Pay for Your Kids’ College? Another consideration is whether or not you can create passive income that can serve as income during retirement. The more income diversity you build up now, the less you will need to rely on a massive nest egg later. How much recurring investment income you build up now can influence how much you actually require in an account later. Think about your sources of revenue during retirement, as well as how much of it you will need. Remember that some unforeseen events, like stock market crashes and medical emergencies, can reduce the overall size of your nest egg. You will need to account for that as well. This is why income diversity can be so important. Rules of thumb can be a big help in providing you with a starting point for your calculations. You can also use the help of online calculators to give you an idea of how much you need to save up right now in order to reach your goals later. If you don’t take the time now to figure out how much you are likely to need for retirement, it’s almost certain you won’t have enough.